Dell Precision Battery - Safe Batteries """
Select Your Dell Precision Model Below ! Dell’s high performance Precision workstations are notorious for poor battery performance. But there is a solution to help fix this problem. Upgrade your Dell Precision Battery with one from Max Capacity. Max Capacity batteries pack 50 percent more power typical Dell replacement batteries. Upgrade you older 48Wh Precision laptop battery with one that packs 62.6 Wh in a 6 cell or 94 Wh in their 9 cell extended Precision laptop battery. Max Capacity batteries pack 50 percent more power and last about 3 years before needing a new replacement. Buy your quality Dell Precision laptop battery from Safe Batteries now, you won’t be disappointed! Our Max Capacity Precision replacement batteries exceed Dells 1 year battery warrant with its own 16 month warranty. 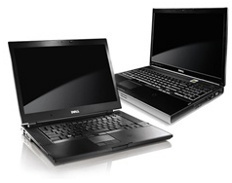 Our laptop batteries work with, and will not void any of your existing Dell factory warranties.